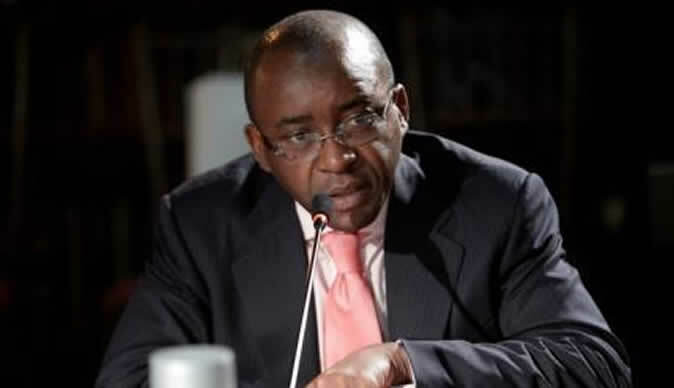 ECONET Wireless founder Strive Masiyiwa this week consolidated his position as one of Zimbabwe's richest investors after his fintech company, Cassava SmarTech (CSZL), became the most valuable counter by market value on the Zimbabwe Stock Exchange (ZSE) when the company listed on the ZSE through an initial public offering. Masiyiwa, whose Econet Wireless Global group controls significant equity stake in its Zimbabwe operation, is easily Zimbabwe's demonstrable billionaire. Even after discounting his shareholdings in Cassava and Econet Wireless Zimabwe at the parallel market rate of US$1:350 RTGS, Masiyiwa still maintains his position as one of Zimbabwe's richest investors in real terms. And his strategy to create value through unbundlings got the thumbs-up this week from investors, if valuations it commanded are anything to go by. CSZL opened trade on Tuesday at an IPO price of US0,43 cents and closed at US149,28 cents, a growth of 241% and valuing the company at $3,867 billion, higher than EWZL. The counter, which ended the listing drought on the local exchange, quickly became the most valuable company on the ZSE. This ordinarily is good news for the Zimbabwean investor and serial entrepreneur. And he is not stopping at CSZL. His company has hinted it wants to list its Liquid Telecom as well. Liquid owns fibre network infrastructure in Zimbabwe. Its holding company has a footprint in Africa and recently concluded a US$400 million deal with an Egyptian telecoms player. "The focus of the EWZL is to incubate synergistic businesses that may be spun out as separate businesses which remain interrelated and interdependent. This is the case with the SmarTech businesses. The demerger of the SmarTech business is not envisaged to change the business model of EWZL as the company will focus on the new technology-based products," EWZL said in a listing circular. Econet had total assets amounting to US$1,5 billion as at 28 February 2018 and book value of US$761 million. As at October 31 when the company was mulling the unbundling, the counter was trading at a price-to-book premium of 7,09 times and a P/E of 35,96. In terms of market cap it was at US$5,3 billion. As of this week, the stock was worth US$3,775bn (a billion in real terms). In its circular to shareholders prior to listing, EWZL said its market value was largely reflective of its telecommunications business and needed to unlock the underlying value of its smart technology business units. CSZL owns EcoCash (Private) Limited, Steward Bank Limited, Econet Life Private Limited and Econet Insurance Private Limited. Jointly these companies generated US$257,75 million revenues in the financial year to February. The company holds 100% equity stakes in each of these companies save for an 85% equity stake in Econet Life. Econet Global Ltd holds 35,01% of CSZL total issued share capital while EWZL holds 20% of the fintech's total issued share capital. This means that at Tuesday market value of US$3,6 billion, Econet Global's holdings were valued at US$1.3 billion while EWZL's stake was valued at US$760 million. CSZL had US$657,1 million in total assets as 28 February 2018 and a book value of US$121,9 million. value. This implied that the group was trading at price-to-book premium of 31 times Tuesday. It's not clear if the current valuations are sustainable but generally fintechs tend to attract higher relative valuations. Only BAT Zimbabwe has commanded such high valuations in the past. BAT had P/B premium of 64.62 as at December 31 2017. In the full year to June 2018, GetBucks had a book value of US$17 million. As of this week, the counter had a market value of US$76.5 million. This implied a P/B ratio of 4.5. Essentially, the stock was trading at P/B premium of 4,5 times its book value. "However, an analysis of EWZL's financial performance against that of its peers in the telecoms industry in Africa shows that whilst EWZL is performing as well as any of these operators, its share price reflects the value of the company that is largely driven by the mobile telecommunications business but does not reflect the true value of the underlying business segments such as the smart technology businesses that the Company has developed. The demerger will unlock the value of the smart technology business," the company said in its pre-listing documents. Now, inside a week, massive value has been created. What is in store for the investor? The proposed demerger will enable investors to separately hold investments in businesses with different investment characteristics, thereby enabling them to select investments which best suit their investment strategies and risk profiles, the company says. The directors of CSZL believe that Cassava's current growth trajectory positions it uniquely to benefit from the broader spectrum of digital service opportunities. "Importantly, all key drivers such as subscribers, mobile penetration, Internet penetration, infrastructure, group synergies, payment platform, and brand recognition and acceptance, are conducive to future growth, while the current challenges pertaining to lack of access to quality education, healthcare, and agricultural services present opportunities for the business going into the future," the company said.